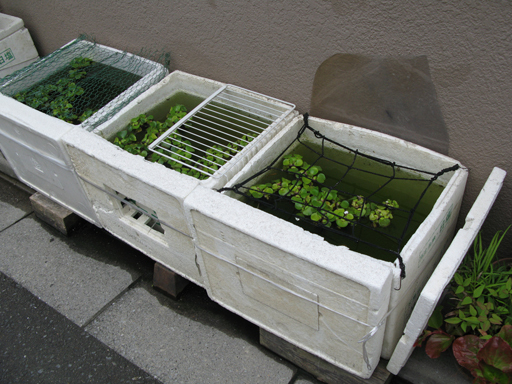 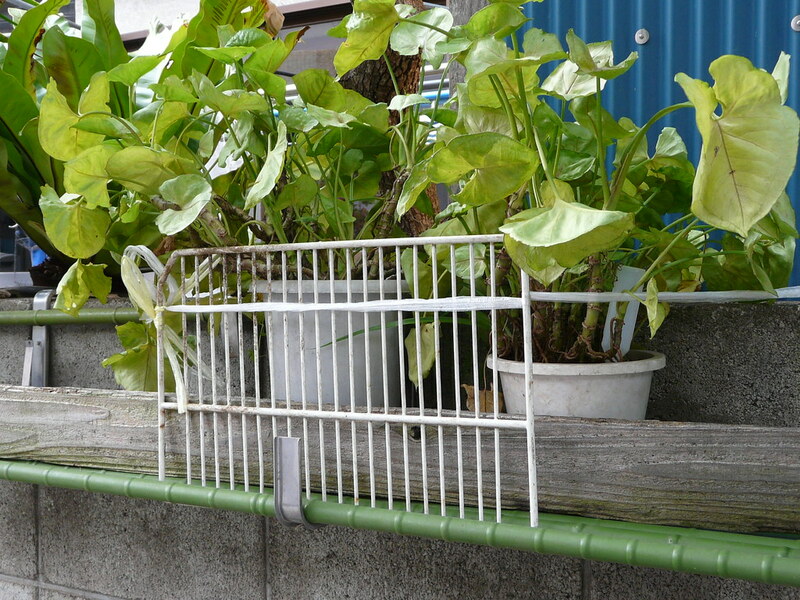 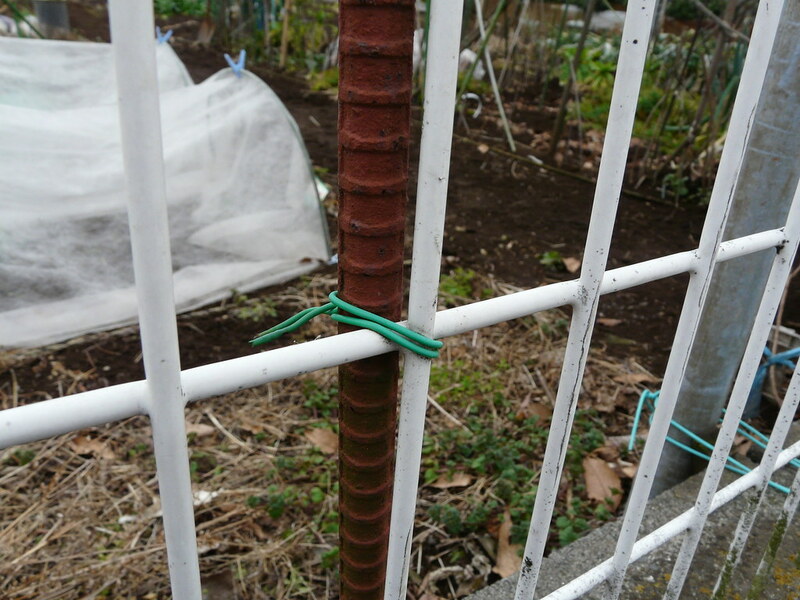 From the inspiring and learned Jan Lindenberg comes 3 different ways of covering/protecting basins – with netting, a plastic grill, and an elastic net (usually used to prevent the shopping falling out of the bicycle basket). 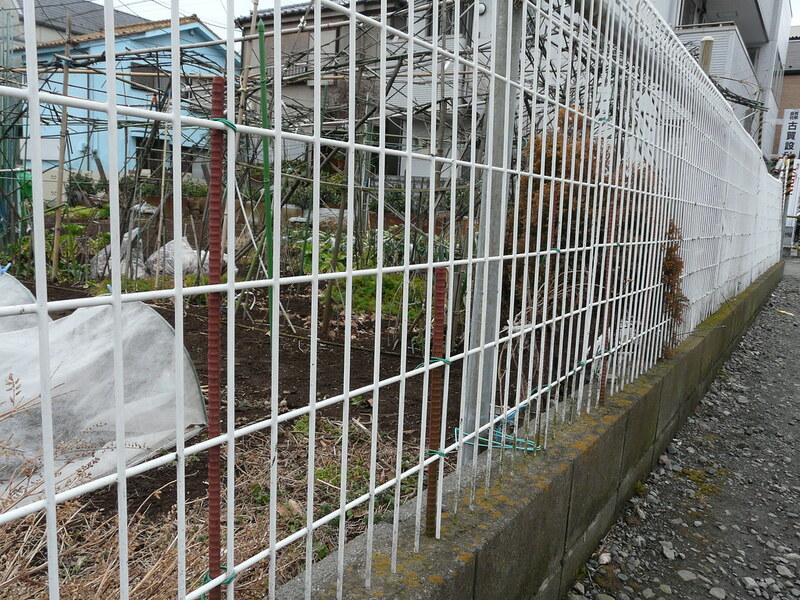 We are not exactly why these containers are being protected, and what function the seemingly flimsy nets play – any ideas? 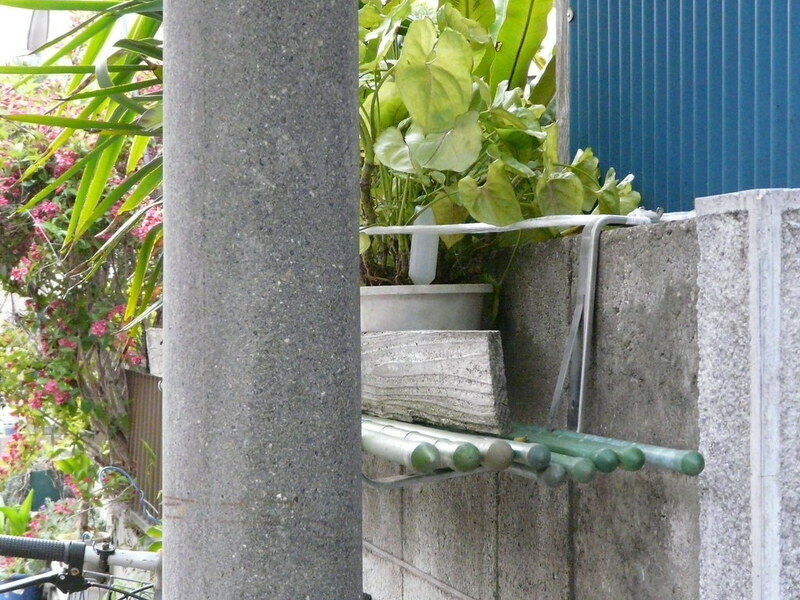 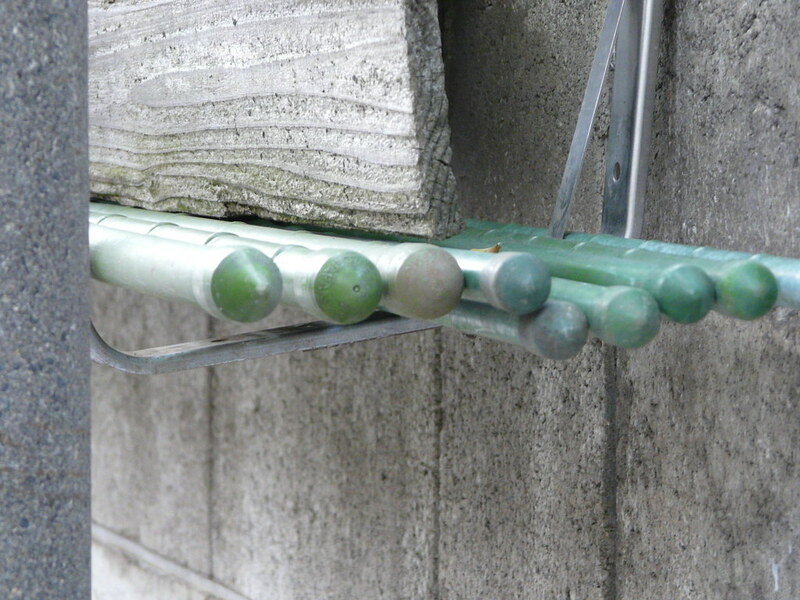 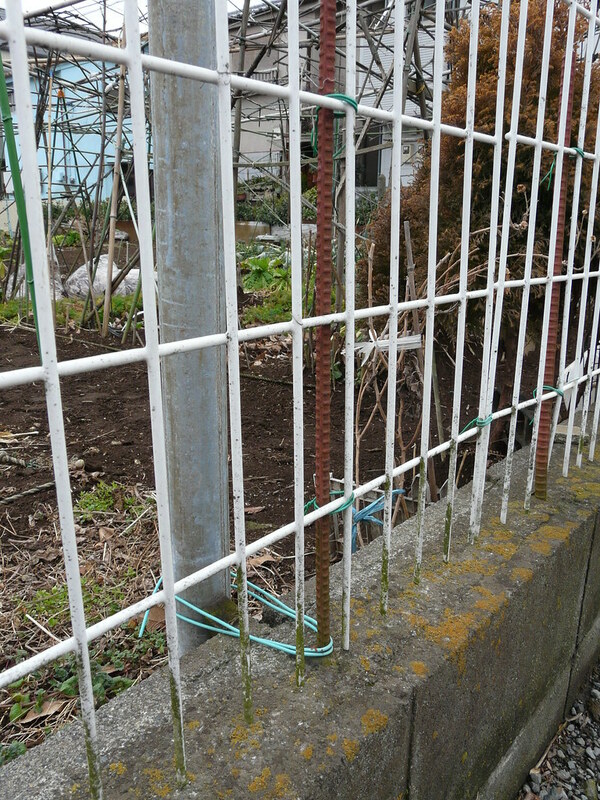 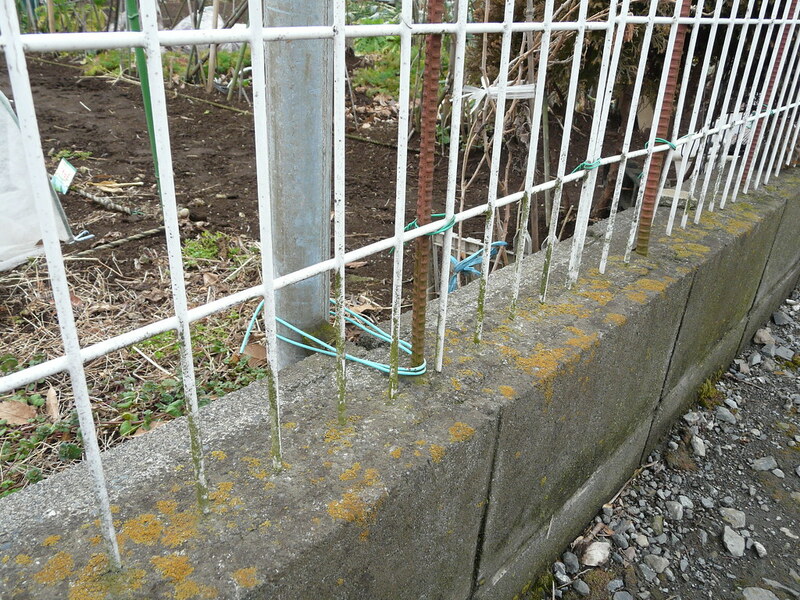 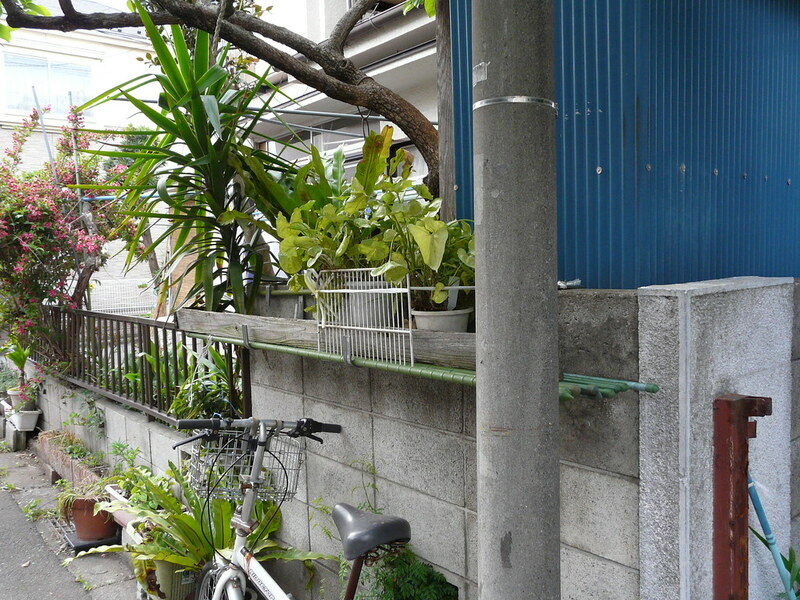 Fence constructed from plastic grill affixed to concrete block reinforcing spikes and metal poles.